In contrast to conventional research processes, for example in the sciences, research in an artistic context not only precedes the artistic work that results but also becomes the actual object of the investigation. Within artistic fields of practice that are dedicated to research, artists not only bring certain topics, issues, and ideas to our attention using visual means; in the best case they also examine the possibilities and alternatives offered by their own actions. Research thus becomes inseparable from the art object as the boundaries between the work and methods are erased. 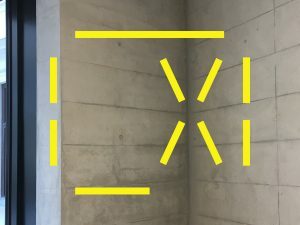 The exhibition and|or—but, yeah* explores aesthetic fields of endeavor that not only constantly reflect on and revise their own materials, forms, and media, but whose speculative approach itself becomes an object of investigation and representation. “The aim of the research is neither to capture reality graphically nor to describe it linguistically, neither to check previous hypotheses nor to follow up on preliminary questions or document processes. Instead, it seeks to be identical with practice and by revising, circumventing, and treating that practice to activate implicit knowledge and generate new findings […] – research conducted on one’s own behalf that provides information through its execution.”* In the exhibition and|or—but, yeah*, aesthetic practice is thus understood as a form of knowledge that not only describes and/or visualizes reality but also shapes it. Nicoleta Auersperg situates her artistic practice within this field of tension, constantly reexamining the form-finding process. Her works manifest an intense study of the nature, backgrounds, and characters of her materials. 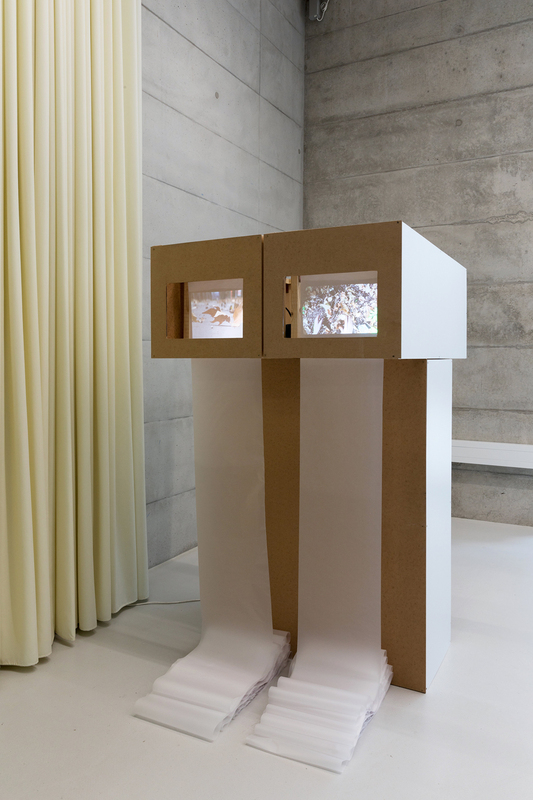 In vice versa (2018), she fills plastic bags with different substances that change their shape and state depending on the environment they come into contact with. The artist thus draws on potential that is open in all directions, a process that often expresses itself as performative sculpture. 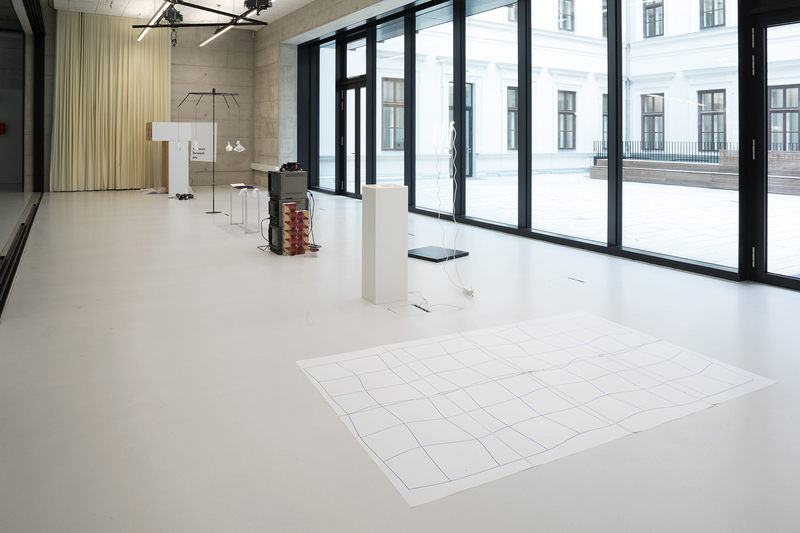 Jakob Kirchweger deals with similar sculptural and material-related questions by linking the two exhibition spaces in Vienna and Klagenfurt. 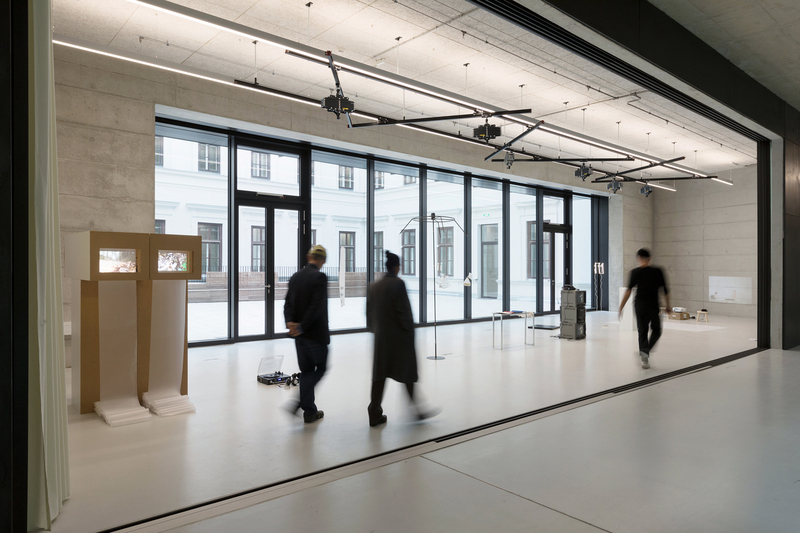 His work 439 m ü. Adria (2018) involves transferring one of the mobile floor elements from Kunstraum Lakeside to Vienna, where he presents it as a readymade in the rooms of the University of Applied Arts. 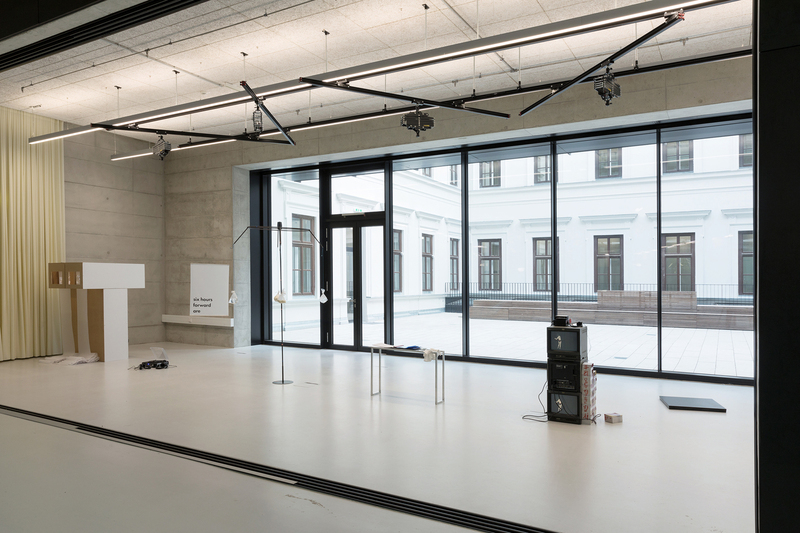 Kirchweger then fills the empty space left behind in Klagenfurt with a different material. 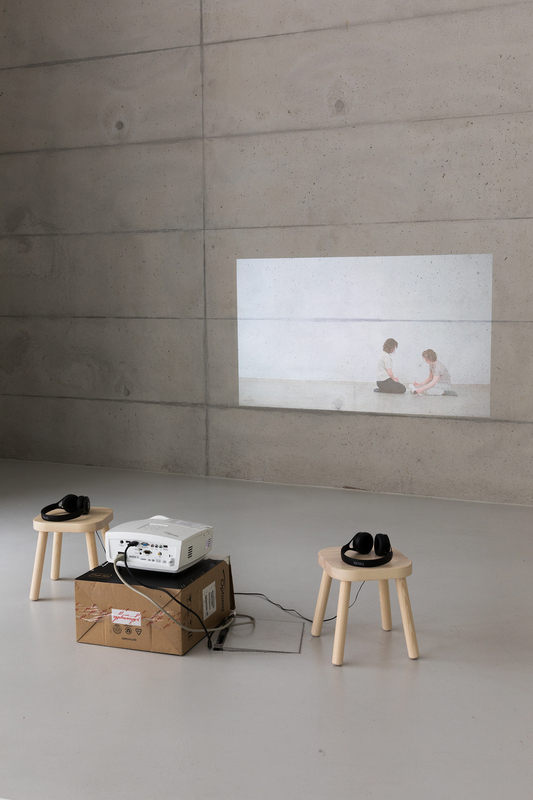 With these gestures of translation and replacement, he confounds viewers in both places. Oscar Cueto focuses not so much on problems inherent to systems but rather on how we relate to the world around us. For the sound installation Holy Money (2018), he asked a homeless person on Vienna’s Praterstern square to read a prayer Cueto himself wrote. The voice of the man, who gives his reading a dramatic flourish, in combination with the noise of the train station in the background and the text’s political message, create a tension that testifies to a sociopolitical conflict. The reference to social issues is also evident in Kyungrim Jang’s installation Camo Cut (2018). Born in South Korea, the artist examines physical exercises that are set to music and propagated with the aim of producing a shared public experience – collective gymnastics as a means of creating national identity. 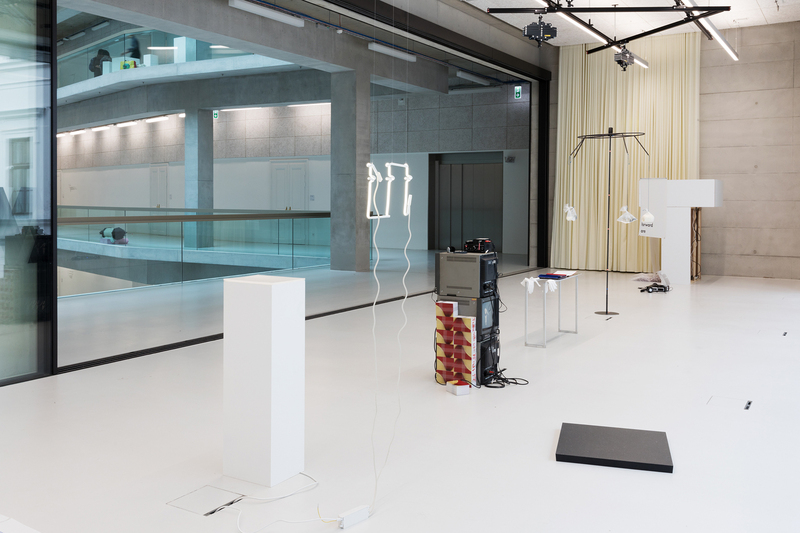 Her installation focuses on the theme of mobilization and civic education, examining how technological advances are being applied here. 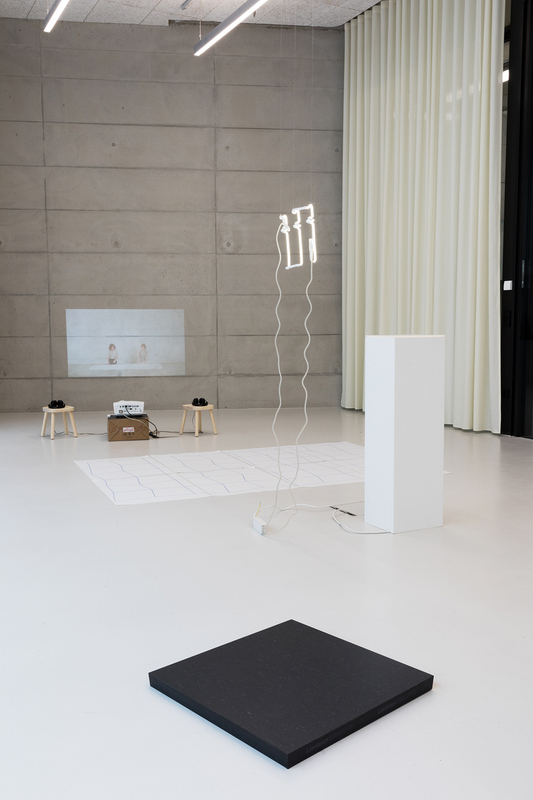 Asher O’Gorman and Anne-Clara Stahl present the documentation of a joint performance in 16.01.2018 (2018). The act of folding paper not only manifests itself as a bodily movement but also generates a composition of lines inscribed in the paper by the folds. Movement, body, sound, space, surface, and material all interact. Viewers can participate here in the creation of an artwork. The relationship between a work of art and its viewers is also addressed in Lola Pfeifer’s Touching Story (2018). The artist negotiates themes such as physicality and subjectivity using participatory means. Under a neon sign consisting of the letters “f f f” (feelings for free) stands a white pedestal whose surface is covered with a layer of silicone. When viewers touch it, they feel a heartbeat, which is at first nervous and hectic but then calms down after a time. It is up to viewers to evaluate and assess their own reactions to this experience.